The cervical spine is comprised of the top seven vertebrae of the spinal column. The cervical vertebrae are the smallest of the spinal column, and are designated C1 (the vertebra closest to the skull) through C7. Surgical procedures performed on the cervical spine may include minimally invasive spinal surgeries, such as endoscopic procedures and laser spinal surgery, but, typically a spine surgeon will need to perform the more traditional open surgical operations. Many conditions seen in the cervical region are common to other areas of the spine, and include herniated discs, degenerative disc disease and bone spurs. The cervical vertebrae and discs are in close proximity to the spinal cord, nerves, and to blood vessels. Given the close proximity of these structures to each other within the confined area of the cervical spine, operative treatment of these various conditions requires surgical expertise of the highest caliber. At New Jersey Spine Specialists, our board certified orthopedic spine surgeons perform the following cervical surgical procedures: anterior cervical discectomy and fusion (also called ACDF), cervical disc replacement (or cervical total disc arthroplasty), cervical laminectomies, cervical laminoplasty, and cervical spinal fusion for instability. Such procedures are typically recommended only after all appropriate non-surgical treatment options have been exhausted. Most patients with cervical spinal conditions respond to non-operative treatment measures, some of which include exercise, physical therapy, medications, and spinal injections. Our staff and physicians are experienced in both non-operative cervical spine therapies, and advanced surgical techniques, including minimally invasive spinal surgery procedures. 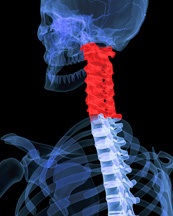 Looking for the best cervical spine surgeons near you? We serve patients from Union, Essex, Morris, Hudson, Bergen, and Somerset Counties and all communities throughout northern New Jersey. Conveniently located in Summit and Montclair, our offices are easily accessible from the entire New York metropolitan area. Our nationally recognized surgeons offer advanced care capabilities and attract patients from across the country. If you, a family member, or friend are suffering with neck or back pain and would like to learn what treatment options are available to you, please, call or email us to schedule a consultation with one of our orthopedic spine surgeons.